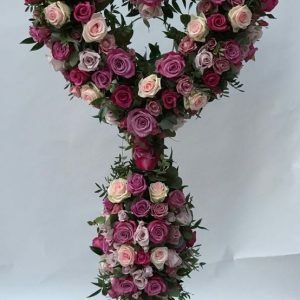 AllAboutFlowers are renowned for their amazing, bespoke Christmas displays and House dressing. 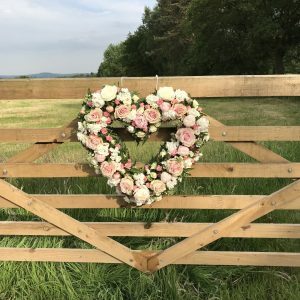 We have over 30 years experience of working in Alderley Edge, Wilmslow, Hale, Prestbury and Macclesfield as well as some clients across the country and even as far as Europe! We are fully insured too. 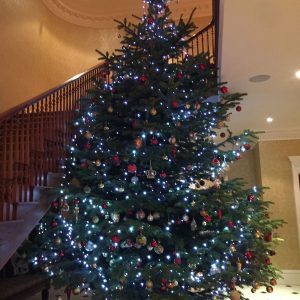 We supply and erect Trees up to 16ft for indoor or as big as you like for outdoor! We can also decorate them for you, and supply the decorations too if you wish. 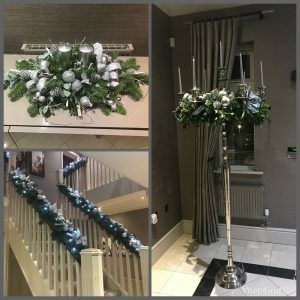 Door frame/window frame surround garlands. Christmas Trees- Indoor and Outdoor. Indoor and Outdoor lighting, including design, supply and decorate. Christmas Dinner Table flowers and dressing. Buffet Table flowers and dressing. Coffee table/occasional table flower displays. We don’t just dress houses/gardens at Christmas! We also do Weddings, Christenings, Parties, Wakes, Corporate events, Presentation ceremonies, infact any occasion! We DO get booked for the festive season quite early so please phone or email us to check availability and book your preferred date.